Sydney may be home to a stack of great burger joints already (see: Mary's, Burger Project, 8Bit, Bar Luca...) but there's always room to smoosh in one more. Especially if that place is Huxtaburger, the obscenely popular Melbourne-born burger chain created by hatted chef Daniel Wilson of Huxtable fame. The first Sydney outpost, and eighth overall, has popped up on Regent Street, just a 30-second mad-hungry-dash from Redfern station. The long, narrow shopfront has been given a gritty subway-inspired makeover, with a graffiti-covered wall, canary yellow signage and a tactile line to impatiently wait behind as they rustle up your lunch. But enough on the design, more about the burgers. Much like Sydney stalwart Mary's, Huxtaburger is all about recreating the classic American-style fast-food cheeseburger. There's no sky-high stacking, nor cheffy accoutrements, it's all about simple done well, coupled with a deep religious-like commitment to high-quality ingredients. The menu's signature item, the Huxtaburger ($10.90), is built around the beef, or more specifically, the Moondarra grass-fed wagyu patty, which is grilled to charred-edge perfection. It's topped with a melty quilt of cheddar cheese — not too plasticky mind you — while refreshment comes in the form of crisp iceberg lettuce, vine-ripened tomatoes and vinegar-washed dill pickles as crunchy as a Granny Smith apple. The bread is soft but not quite as squishy or sweet as brioche, with enough sturdiness to hold the whole operation together. Let's not mince words shall we, it's a darn good burger, great even, and we welcome it to Sydney with open arms, hearts and mouths. As for sides, there are proper chips ($4.50), crunchy onion rings ($6.50), and textured hash bites ($4.50), with the addition of sauces (say yes to cheesy mayo) and flavoured salts (but no to the dill salt). While the artistically printed packaging is pretty enough to hang on the wall, we suggest dining in to take full advantage of the joint's craft beer selection, which each trade for a mere fiver during happy hour (4pm–7pm). 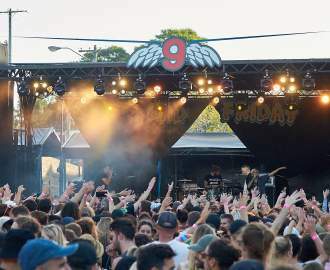 Alongside the amber bottles of Furphy ($8.50), Panhead ($9) and White Rabbit ($9), there are also refillable soft drinks and three-scoop milkshakes ($7.50) made using homemade chocolate, vanilla and caramel toppings. 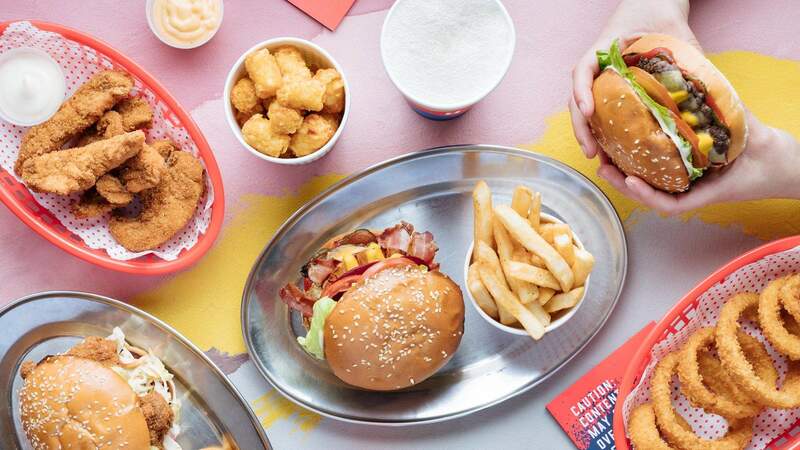 With Huxtaburger planning to launch another 20 new stores across Australian and Asia over the next four years, we certainly wouldn't complain if they flipped a few more our way.